We are dedicated to providing you with the best trading environment and continuous support on every step of your trading journey. We also believe that informed traders make informed decisions and have gathered the below information for your guidance. The current Margin Requirements for Retail Clients are based on the underlying instruments traded, as per ESMA’s product intervention measures, in effect from 1st August 2018. Find out more here. The funds in your account including all deposits, positive swaps and profits from closed trades and less all withdrawals, negative swaps, losses from closed trades and any other commissions/charges. Your account balance plus profits or minus loss from currently open trades (unrealized P/L). This is the actual value of your account at any given time and fluctuates with market movement. Margin serves as collateral, ensuring that you can sustain and cover potential losses on your open trades with the funds available in your account. The ratio between your own funds and the actual traded position size. E.g 1:50 leverage means that you can buy/sell a currency for 2% of its value. Margin equals the amount of funds required to open a trade. In account currency terms, this is calculated as Position Value divided by Leverage. Stopout Level (Margin Close-Out) is set at 50% of the initial required margin for Retail Clients and 100% for Non-Retail clients. Margin Call level is 100% for all clients. Tier1FX does not make actual margin calls. Nevertheless, for better protection of your funds, we have set a Margin Call level of 100%. Once it is reached, you would not be able to open new trades, unless for hedging. Managed accounts that have set up an EPM, are also subject to this general Stopout Level. In volatile, fast-moving markets, Margin Level may suddenly drop below the Stopout Level. In such instances, a stopout may occur at a lower percentage. Despite our best efforts to to offer better protection of your assets via the automated Stopout Level and EPM functionality for managed accounts, please remember that it is client’s responsibility to monitor their accounts at all times and keep them appropriately capitalised. For further details, please refer to the Tier1FX Client Agreement (p.3) and Annex I. Risk Disclosure (p.31). As a STP broker, Tier1FX offers you direct market access, ensuring the most competitive and transparent pricing and spreads. See our live quotes and average spreads here. Please note that such proximity to market price may lead to your Stop/Limit order to be triggered instantly. As Tier1FX offers market execution, SL and TP can only be set once the trade has been filled. EAs are allowed on both MT4 and JForex platforms. As JForex is a Java based platform, EAs applied to JForex accounts need to be in Java programing language. Choosing, evaluating, using and monitoring an EA is entirely at client’s own discretion and should not be in violation of Tier1FX Trading Rules and Regulations. For more details on Tier1FX EA Policy, please read here. There are no limitations on the number of trades placed and on the number of pips in profit/loss. Pending orders, SL and TP can be placed as close to market as 0.1 pips. Note: Tier1FX does not allow arbitrage. You can hedge your position at any time, as long as your Free Margin is positive (Margin Level>100%). When all positions are fully hedged, the Margin Requirement will be zero. Please note however that even if your positions are fully hedged, you are still responsible for the spread cost and a stopout can still be triggered. 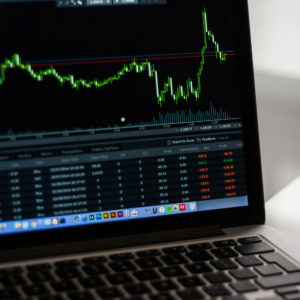 Our fast and reliable execution, direct access to market liquidity and outstanding technology allow for an appropriate trading environment for the news trader. While Tier1FX imposes no limitations on news trading, please remember that due to high market volatility during (and shortly before and after) major economic releases, news trading carries a high level of risk. Please note that while we endeavour to provide fast and flawless execution, high market volatility may cause slippage (orders may get filled at a price, other than the one specified) and may lead to excessive losses. Leverage represents the ratio between the funds required to open a trade and the actual size/cost of that trade. For example, 1:50 leverage means that you can buy/sell a currency for only 2% of its value, i.e. in order to buy 1 lot EURUSD or 100,000 EUR, you only require 2% margin, or 2,000EUR. * For details on MiFID II Client Categorization, please refer to our Client Categorization Statement. For Tier1FX Official Notice on ESMA Measures for retail clients, please see here. ** While daily statements may indicate account leverage of 1:33, please note that this is only a general setting of the account. The actual leverage is assigned and calculated per instrument and based on the ratios stated above. Important: Tier1FX may need to adopt temporary leverage restrictions during times of extreme market volatility, major economic events or other circumstances. Such restrictions shall be duly communicated to all clients via email and published on our website. Rollover (swap) is the interest paid or earned for holding a position overnight. Remember, as Forex currencies are traded in pairs, you are simultaneously buying one currency and selling the other: for example, when you trade EUR/USD, you are buying EUR and selling USD. If the interest rate of the currency you are buying (in this case EUR) is higher than the interest rate of the currency you are selling (in this case USD), you would earn interest and positive Rollover will be applied to your account. If the opposite is true and the interest rate of the currency you bought is lower than the interest rate of the currency you sold, you would pay interest (negative Rollover will be charged to your account). Swaps applied on Wednesday at 21:00 GMT are multiplied by three (3), in order to compensate for the weekend. This is so, as Forex spot transactions settle two (2) business days from the date of the actual trade. Triple swap for CFDs is applied on Friday. Some instruments do not have triple swap and subject to National Holidays in the respective country or volatile market conditions, the day on which triple swap is applied or swap amount itself, may change. Rollover rates are updated weekly on our website and are expressed in USD per 1 standard lot. See a full list of swap rates per instrument here. Important: Trading hours may change, subject to National Holidays or unexpected liquidity circumstances. Please make sure to check our website for notifications on changes of trading hours. * Server time can be viewed as GMT+2 from autumn to spring and GMT+3 from spring to autumn (subject to Daylight Saving Time). Midnight Server Time corresponds to 5pm EST. Some exotic currency pairs may experience thin liquidity conditions during certain market hours. ** Most JForex pairs are tradable without interruption, however, some have trading breaks and might be interrupted due to liquidity limitations during Off Market Hours. Such pairs include but are not limited to USD/PLN, EUR/PLN, USD/TRY, EUR/TRY, which have a trading break within 15:00h-04:00h server time. Important: Trading hours may change from time to time or subject to National Holidays or unexpected liquidity circumstances. Please make sure to check our website for notifications on changes of trading hours.